Exposure in using Graphic & Multimedia tools like Adobe Photoshop, Illustrator, Flash Catalyst, Flash Professional, Flash Builder, Dreamweaver,Fireworks, Contribute, Premiere, Corel Draw, Sound Forge. Expertised or basically trained in Creating Multimedia Presentations, Product Demos, Flash Presentations, Video Presentations, 2D & 3D animations, Visual Effects. Design for Web screen Design / mock up screens from design files. Exposure to various multimedia techniques related to Audio & Video. 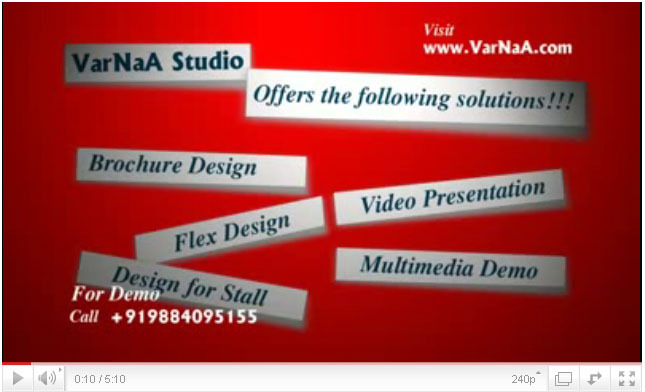 E-mail your resume to hr@varnaa.com. Do not call us regarding status of this Job Post. If you are being shortlisted, we will contact you.